This is easily the best-sounding wireless speaker we've heard that's priced less than $300. 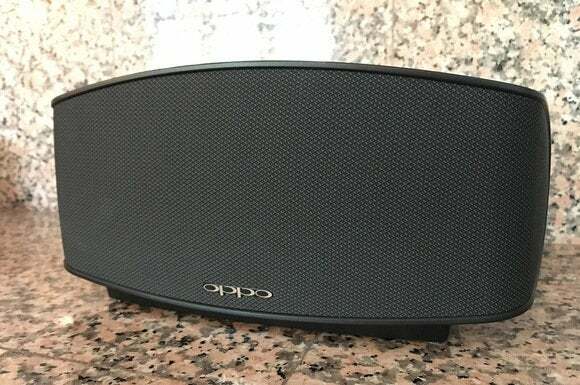 Oppo is making the same kind of splash in the wireless speaker market that it’s already done with disc players and headphones. 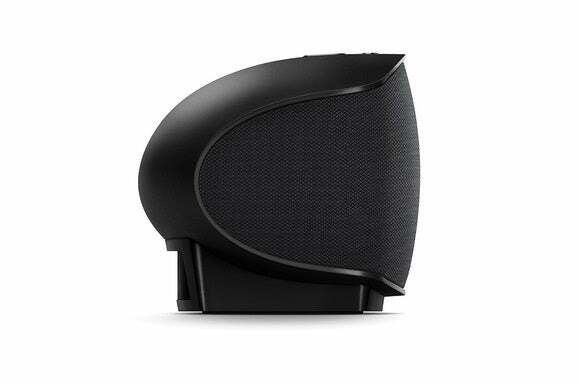 In fact, you could call it a cannonball: The Sonica is one of the best-sounding wireless speakers in its price range. 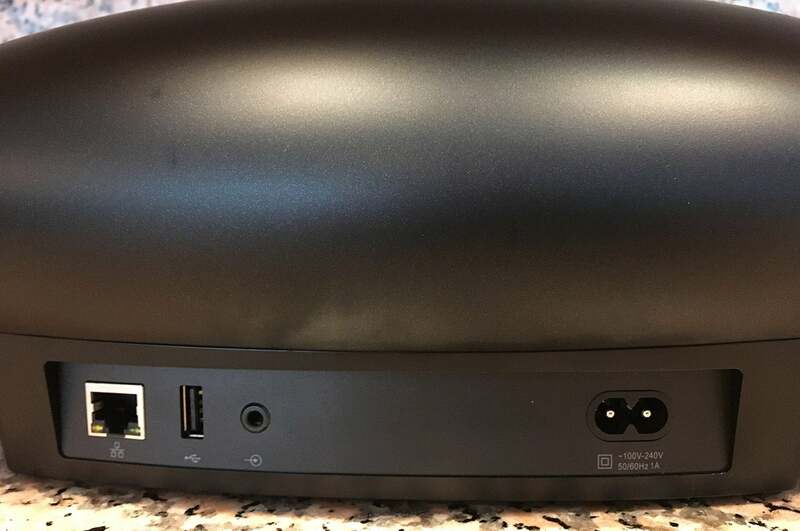 It’s much more than a Bluetooth speaker.You can also connect to it via Wi-Fi and it supports Apple’s AirPlay music-streaming technology, too. The speaker’s rounded and tapered enclosure gives this unit a classic look, making it feel even smaller than it actually is. Those of us with a few grey hairs might flash back to the alarm clocks of yesteryear—all that’s missing is the clock face. A single mute button and a and volume-control toggle are the only buttons on the unit, and you’ll use a combination of button presses to set the speaker up. It assumes you’ll want to connect via Wi-Fi, but holding both the mute button and the volume + button down quickly puts it into Bluetooth pairing mode. I did this to quickly pair it to a Pioneer XDP-100R high-res digital audio player. The Pioneer XDP-100R is an aptX-compatible source that confirms its connection to an aptX speaker when paired, but that didn’t happen with the Sonica. Contrary to what you might read elsewhere, the Sonica doesn’t support the aptX codec, a fact I confirmed with Oppo. As it turns out, it doesn’t matter. The Sonica is powered by four Class D amplifiers in a 2.1-channel configuration: There’s a 10-watt amp for each of the speaker’s two 2.5-inch “wideband” (mid-range/tweeter combo) drivers, and two additional amps—operating in a bridged configuration—that deliver 30 watts to its 3.5-inch bass woofer in the middle. A pair of 3.0-inch passive radiators on the left and right sides enhance the speaker’s bass response. The driver/amplifier combinations are tuned by digital signal processing with electronic crossovers for each driver. Oppo says these drivers were designed specifically for the Sonica, and that its wideband drivers feature neodymium magnets with copper shorting caps to reduce frequency distortion in the vocal range. The Oppo’s physical control options are spartan. The only buttons are volume and mute. 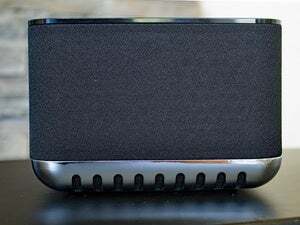 The Sonica is the rare speaker in this price range that boasts Wi-Fi connectivity—and support for Apple’s AirPlay—as well as Bluetooth. The onboard Wi-Fi adapter is a dual-band 802.11ac model, and Oppo strongly recommends connecting to your Wi-Fi router’s 5GHz frequency band because there’s a conflict between the speaker’s 2.4GHz Wi-Fi radio and its Bluetooth radio. A company representative told me Oppo is working on a fix for this issue. In addition to streaming from wireless sources, DLNA-compatible NAS boxes on your network, and high-resolution Internet radio services such as Tidal, you can also connect an analog audio source to the speaker’s 1/8-inch aux input or plug a USB storage device into its USB port. Using the Sonica in Wi-Fi mode opens a whole host of possibilities not available with Bluetooth. Oppo’s Sonica app, for example, only works over Wi-Fi, not Bluetooth. 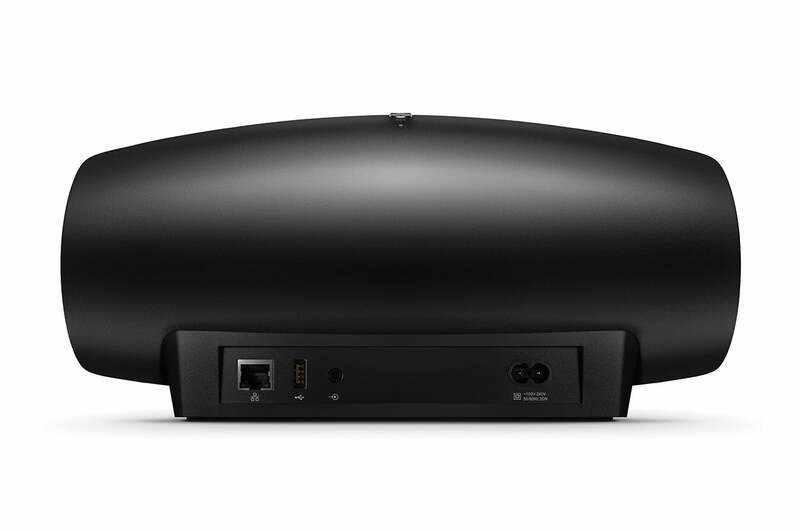 Wi-Fi connectivity also makes it possible to use multiple Sonica speakers in multiple rooms, a la Sonos. This speaker can decode high-resolution music files with up to 24-bit resolution and sampling rates up to 192kHz using codecs ranging from Apple Lossless to FLAC, WAV, OGG, and WMA. You’ll also need to use Wi-Fi mode to access the Sonica’s DSP to compensate for room placement. You can adjust the speaker’s EQ curve depending on its proximity to room boundaries so that bass isn’t too boomy or too thin. This is a great speaker, but its Bluetooth support seems to be more of a checkbox item than a fleshed-out feature. The Oppo Sonica supports ethernet, Wi-Fi, Bluetooth, USB and a 3.5mm port on the rear of the unit for source options. During my time with the Sonica, I did experience a few anomalies that Oppo has apparently fixed with a firmware that was just released towards the end of my review period. The new firmware, labeled 19-0816 (August 19, 2016) addresses occasional Bluetooth disconnections (stability) and playback glitches. I experienced a bit of both during my review period. With no particular pattern, the Sonica’s audio would blip—kind of like what you get when you are in a car and a lighting strike interrupts the radio transmission. I was able to perform the firmware upgrade easily enough (this requires connecting the Sonica to the Internet—it can’t be done via Bluetooth). With the Sonica connected to the Internet, I launched the Sonica app an bingo! It prompted me to install the firmware update. The update took a few minutes and appears to have solved most of those anomalies I experienced. If you’re a Sonica owner, make sure you update the unit to the latest firmware. Knowing how Oppo stands behind their previous products, you can likely expect more firmware updates as Oppo finds solutions to other minor issues. The Sonica is among the best-sounding wireless speakers priced less than $300. Yes, the Sonica is that good. Please don’t insult the Sonica by using it for background music listening. Give it your attention. The Sonica is for command performances. Doing A-B comparisons between the Sonica and other contenders in this category wasn’t even close. The Sonica’s sound is a class above. 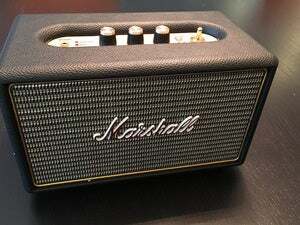 It’s one of the few portable speakers that presented the music in a three-dimensional, stereo sound stage. Imaging was crisp and precise (though at times perhaps a bit too sharp and edgy). Its tonal balance top to bottom was oh-so-right for this price point. Bass response was authoritative and clean without being over-exaggerated. The Sonica has a tapered design that makes it look much smaller than its footprint. I’ve been using Adele’s 25 for a number of reviews lately, and the Sonica just nailed the album, delivering the best top-to-bottom rendition of “Send My Love” of any Bluetooth speaker I’ve auditioned lately. Adele’s voice was enveloped by the instruments with just the right separation and balance. Bass lines were simply awesome. They attacked with an archer’s precision—thwap! Always in full control, the Sonica never allowed the bass to get loose or bloated. Piano and strings in “Love in the Dark” were naturally smooth with a strong sense of timbral accuracy. What impressed me most of all was the Sonica’s uncanny ability to reproduce a song’s energy and emotion. Not all speakers can get musicality right with their voicing. Only the superlative Riva S gave the Sonica a run for its money here. Want to create a mood? When I fired up Lady Gaga’s “Lush Life” from Cheek to Cheek with Tony Bennett, it was time to sit down, dim the lights, pour your favorite drink, and get transported to an intimate jazz club. Piano notes were lush and delicate. Cymbal strikes were sharp. And Gaga’s voice? It resonated with life and intimacy. As a nightcap, Grover Washington Jr.’s eponymous track, “Winelight” sealed the deal with that silky smooth saxophone filling the room and toe-tapping bass dancing in the night. Sadly, you’ll have to enjoy all this great sound at home. You can’t take this superlative audio with you on-the-go or even near the shower. The Sonica lacks an onboard battery and doesn’t carry an IPX water resistant rating. Alas, life has its tradeoffs and so does the Sonica. Therefore, if you want killer sound, portability, and splash-resistance then you’ll want to look at the Riva S as your next best option. Detailed view of the Oppo’s ports. The competition had better watch out. Oppo’s done it again. The Sonica is a gorgeous-sounding, well-balanced, wireless speaker. While it’s incredibly feature-rich in Wi-Fi mode, it doesn’t have all the bells and whistles with Bluetooth like some of its competitors. The Sonica also lacks portability and isn’t water resistant. Oh, and there may be a minor bug here or there that Oppo will be stomping out with a firmware update. But wow! 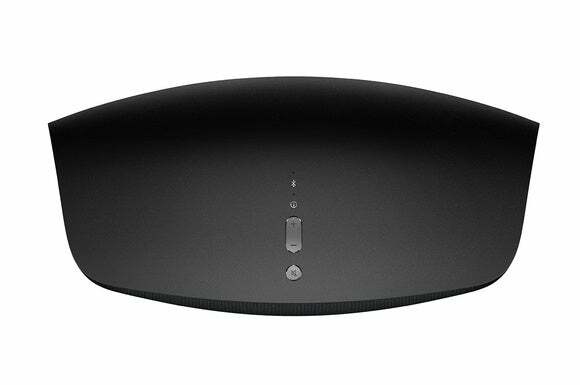 If you’re looking for the best-sounding wireless speaker priced less than $300 that can make you get lost in the music, then you’ve found it. Very highly recommended.